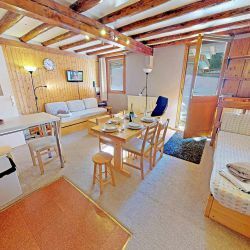 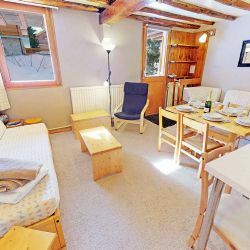 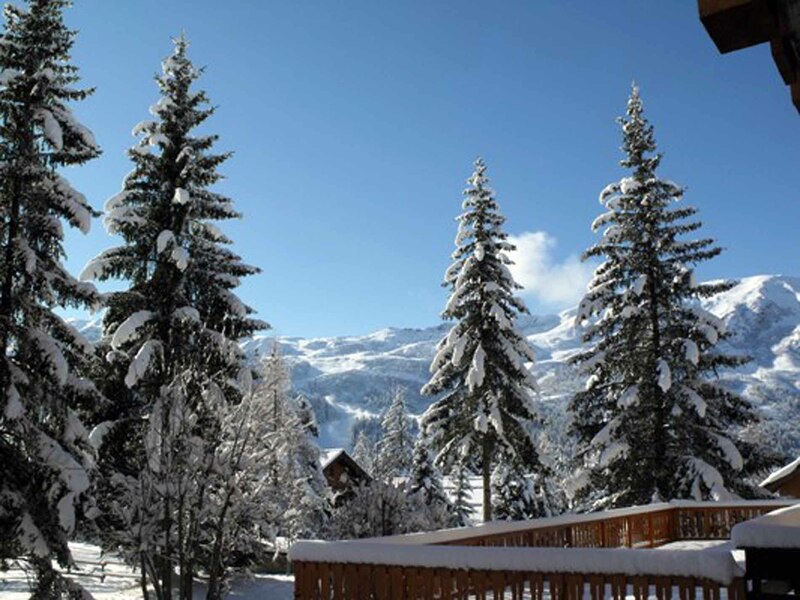 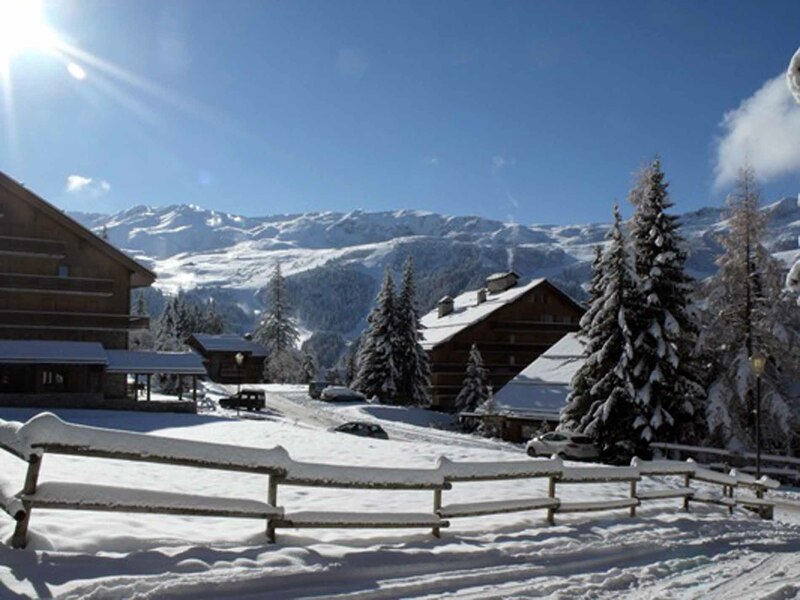 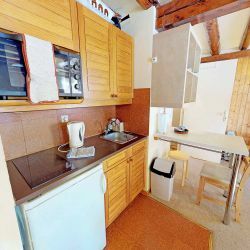 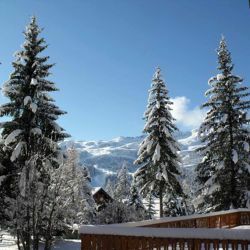 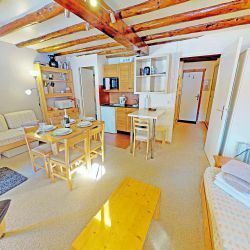 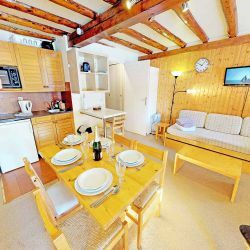 Located on the ground floor of the Grand Sud Apartment complex in central Meribel, this apartment is within minutes of the slopes. 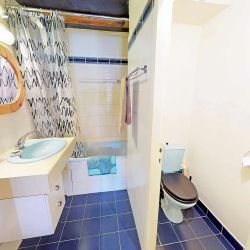 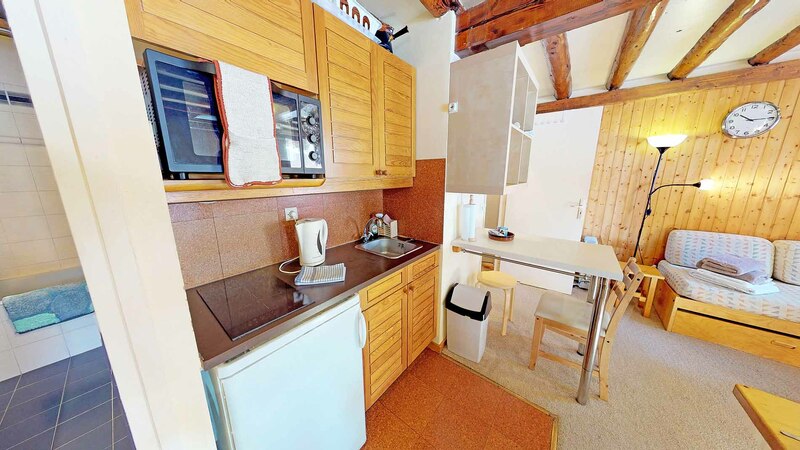 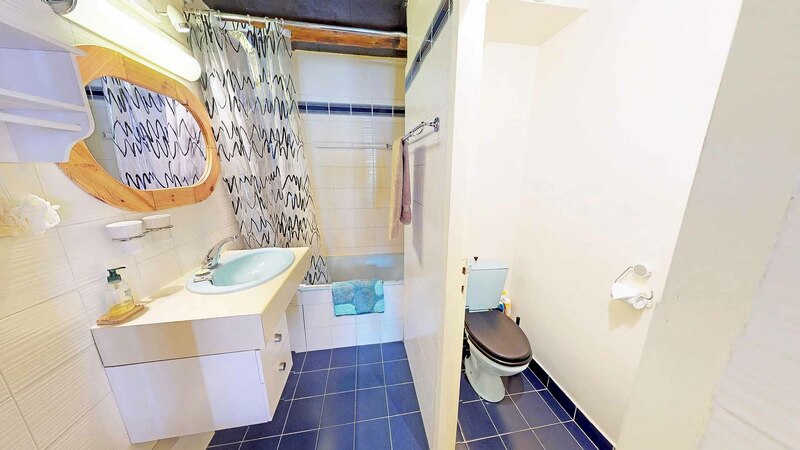 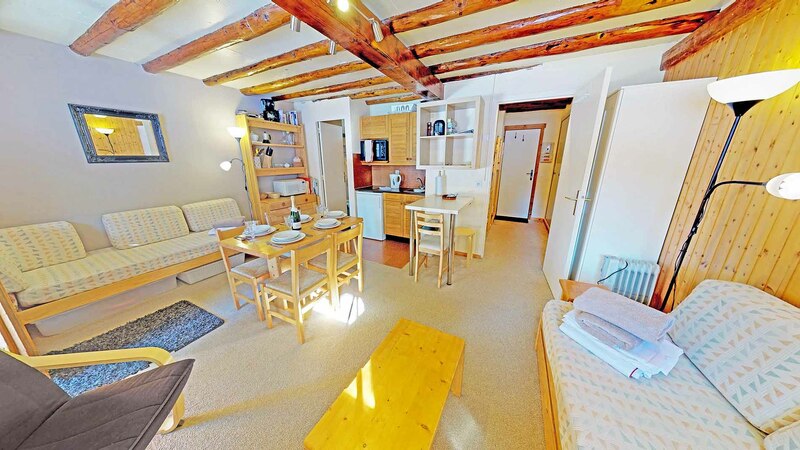 This is a small but well located apartment near the Rond Point with a large living area. 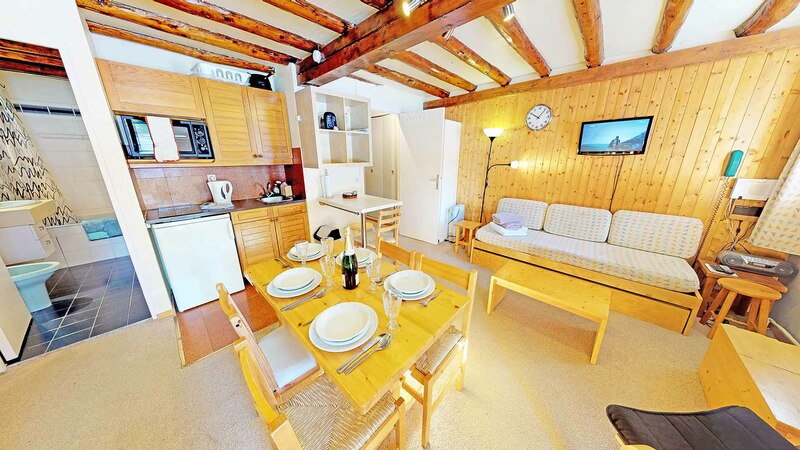 French doors open out onto a covered ground level balcony. 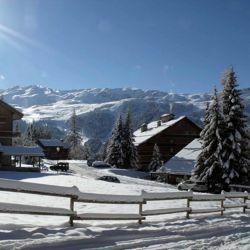 The ski pistes are just 100m away. 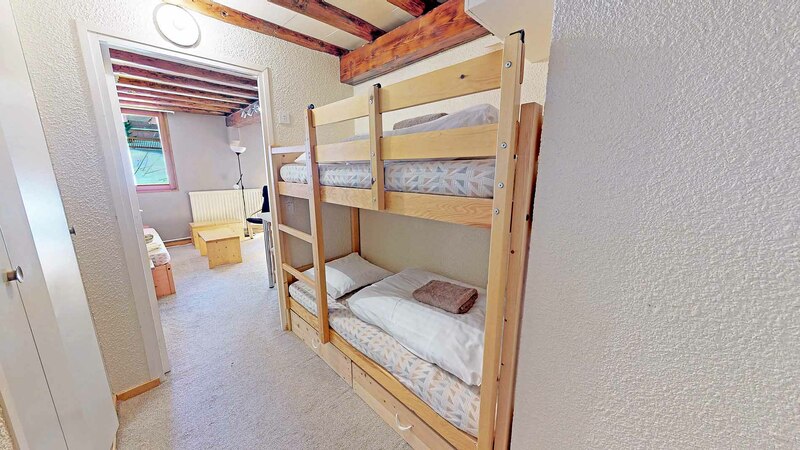 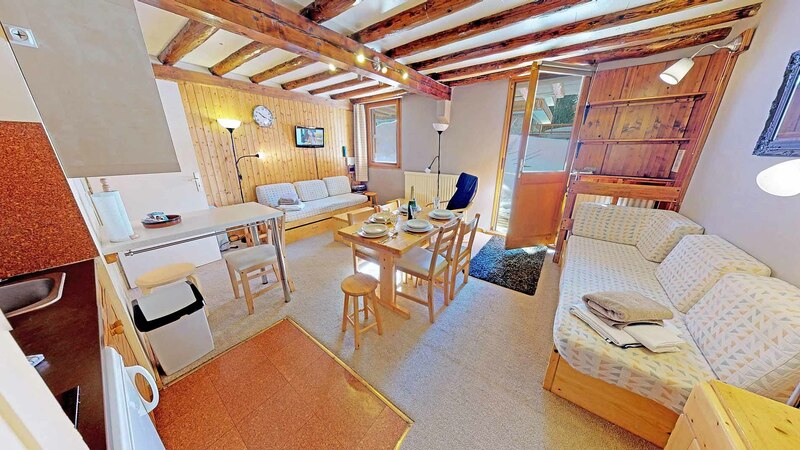 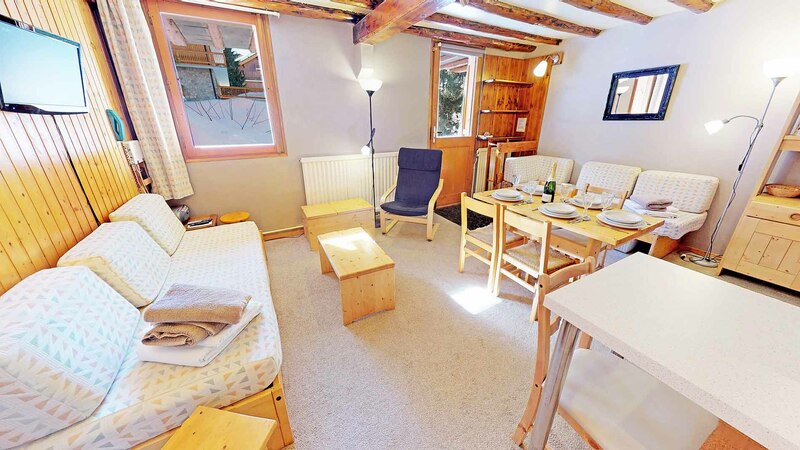 This is a cabin studio with bunk beds in the hall, one double sofa bed and one single sofa bed in the living area. 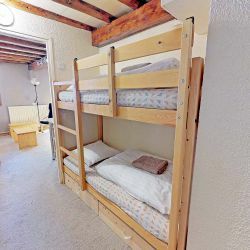 Free parking is provided at the front of the apartment complex, and there are secure ski lockers located in the basement.